The ICG continues its mission of promoting and raising the art and craft of clubfitting/making internationally with our significant presence at the PGA Show. Our PGA Show Demo Day area was very busy. Watch Ed Weber’s highlights here. Four giants of the golf industry were inducted into the ICG Hall of Fame on January 27, 2016. 4) Mike Stachura for promoting clubfitting to the golfing public via his numerous articles citing clubmakers/clubfitters and for the development of the biannual Golf Digest Best 100 Clubfitter List. All four inductees stressed the common theme of how clubmakers/fitters can help golfers improve their games. Watch Ed’s video of the HOF ceremonies here. Peter Doyle - 2016 ICG Ireland Clubmaker of the Year. Click on the members’ names to read their comments and view their acceptance speeches. ICG members can view 2016 COY submission videos under the members only section. Kudos to those ICG members who volunteered their time to help make the ICG presence at the Show a success. Special thanks to Ray Tomaszewski who was there every day organizing the work of Donald Stadnika, Bill Marshall, Greg Courtnay, Jim McCleery, John Dranshak, Jeff Shuster, Roy Kaltz, Ray Tomaszewski, Ed Weber, Don Irving, Jacques Intriere, Doug Mael, Andrew Avann, Jacques Lemoyne, and Jerry Howard. Thanks to ICG Sponsors Veylix, Balance Certified, Provoto, APS, Tour Edge, and Billy Bob’s Golf, for helping to make our Show presence a success. Meeting room highlights from Wednesday can be viewed here. 2. ICG PGA Show Special. Annual member dues increased to $150 last month, but we are offering a super value laden PGA Show Special thru February 29th. New members and non-certified members will be able to extend their membership another year, take both certification exams (during calendar year 2016), and apply for our new ICG Best Member List (package value is $700). Certified members will get one year membership extension, one certification exam, and application for ICG Best Member List for $195 (package value ranges from $300 to $500 depending on your certification level). The ICG PGA Show Special expires on February 29, 2016. Take advantage of this great deal to support the ICG and increase your professional development and business. Members who have already signed up include ICG Hall of Fame member Jerry Hoefling, Sr., ICG 2016 North American COY Greg Courtnay, ICG World Wide COY Jacques Intriere, ICG 2015 Distinguished Service Award winner Ed Weber, ICG 2015 German COY Gerald Friz, Golf Digest Best 100 Clubfitter Jim McCleery, Italian Clubmaker Piero Maina, ICG Certified Clubmaker, Joe Movarick, Fernando Lim, and many others. 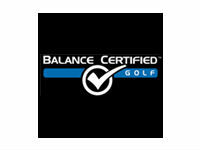 Again, a reminder that certified members qualify for a listing on GolfMDs.com. 3. Web and News Highlights. ICG Sponsor Accra Golf is now the prime distributor of all True Temper after market products. Other distributors will have to buy TT from Accra. Using True Temper? Might as well buy directly from Accra and reach a higher dealership level and secure better pricing on all Accra and True Temper products. BOD elections are underway, with nominations running thru February 24th, election webinar to be held on February 25th, and voting to be held from Friday, February 26, 2016 at 00:01am EST to Friday, March 4, 2016 at 11:59pm EST. The election will be held on the ICG website. If you have any questions please ask them here. Finally, web admins have lately been receiving this same question: Is there a way to receive notification of new posts via email? Happily, the answer is yes! Click on “My Profile” under your member badge at your landing page (after logging in). Hover on “My Profile” and click on “Contact Preferences”. Click on those email notifications you'd like to receive, including “notifying” and “subscribed” to the forums you’re interesting in, such as “Certifications and Training”, “ICG Webinars”, “Board Minutes”, “Swap Shop”, and so on. You’ll receive notifications when posts have been made in the forums you’ve selection. The Post will also be in the email. You won’t be able to reply to the thread via email, but you now have another reason to log onto our forums and participate. JOIN NOW- If youve learned anything at all about us in the last couple years - we're not your Grandfathers clubmaking/fitting organization. Join us, you wont be disappointed!